If you’re feeling hungry before heading over to House of MODA on March 6th , consider checking out Au Cheval, a trendy but affordable restaurant serving American cuisine. Less than a mile away from Union Station, Au Cheval is a convenient and delicious dinner option. Though the restaurant characterizes itself as a “diner,” definitely think more on the upscale end: Au Cheval is known for its fresh ingredients, ranging from bologna to foie gras. The restaurant itself has great ambiance, with dim lighting, comfy booths, and a wrap-around bar. I personally recommend their handcrafted cheeseburgers, which are only $10. The patties are juicy and tender, and the fried egg atop the burger is perfectly cooked, with just the right amount of runniness in the yolk. The cheeseburger is perfectly tasty; there’s no need for added condiments like ketchup. Au Cheval is also famous for its home-style fries, which come served with mornay sauce, garlic aioli, and a fried egg. The fries are wonderfully crispy on the outside and light on the inside, and the creamy toppings add to the deliciousness. If you don’t want to feel too full, definitely split with a friend! No matter what, Au Cheval’s food will leave you feeling satisfied. Expect a wait, so get there early – you won’t regret your decision. Whether you’re looking for a quick bite or a multiple dish meal, Au Cheval is a must visit dinner destination. 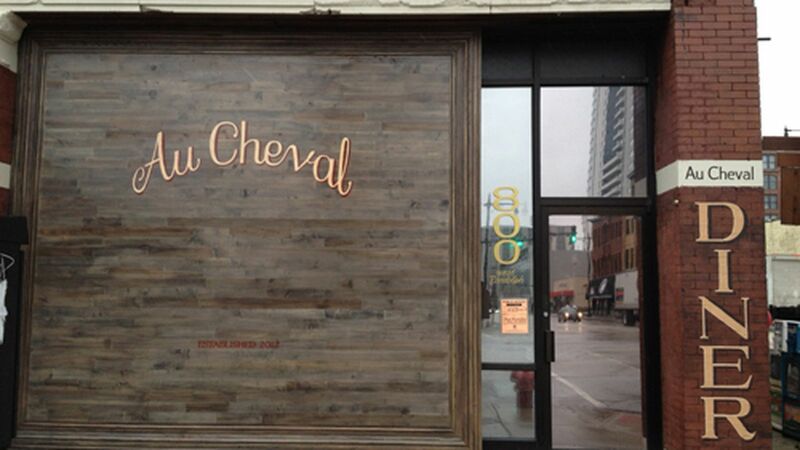 Editor's Note: Au Cheval does not accept reservations and there is often a long wait. Be sure to leave yourself enough time to get to the MODA show (you'll want to be there before the show for cocktails)! Try heading to dinner early and then going to a nearby bar before the show. We suggest The Aviary, Allis in the SoHo Hotel, or Maude's Liquor Bar.